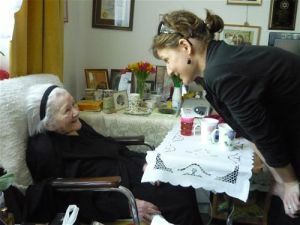 Kinga was the translator for Irena Sendler over the last several years of Irena’s life. She has been a great help to Life in a Jar and assists the Children of the Holocaust organization. She did her Master’s Thesis on the Holocaust as a subject in modern Poland. She served an intership in the summer of 2008 at the U.S. Holcaust Memorial Museum.